BMW has appointed Uwe Dreher as its UK marketing director following last year's promotion of predecessor Chris Brownridge. Dreher, who takes up the new post with immediate effect, was previously head of marketing for BMW i – launching the brand and overseeing subsequent car launches. He held the post since 2010. 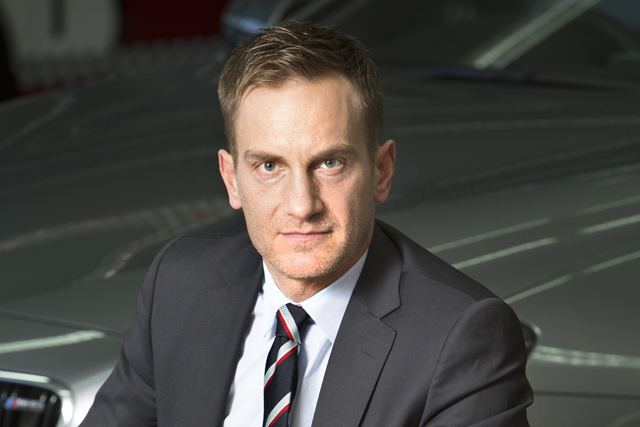 He joined BMW Group in 2002 and has held various marketing roles. Dreher will report to Tim Abbott, BMW Group UK’s managing director, who said: "The UK is a key strategic market for BMW and Uwe brings with him a wide range of marketing expertise which will enhance and strengthen the appeal of the BMW brand and our expanding model portfolio. "Chris Brownridge has successfully developed the brand over the past three years and joins MINI at an exciting time with the launch of the new generation model in the spring." Dreher said: "This is a great opportunity for me to lead the marketing activities in one of the BMW Group’s largest markets and I am really looking forward to working with the team to build innovative and creative marketing campaigns which will attract our existing and also new customers." Brownridge, who led BMW’s marketing during the London 2012 Olympics, was appointed director of Mini UK in September last year. He succeeded Jochen Goller, who had been promoted to senior vice-president of Mini based at its Munich HQ.